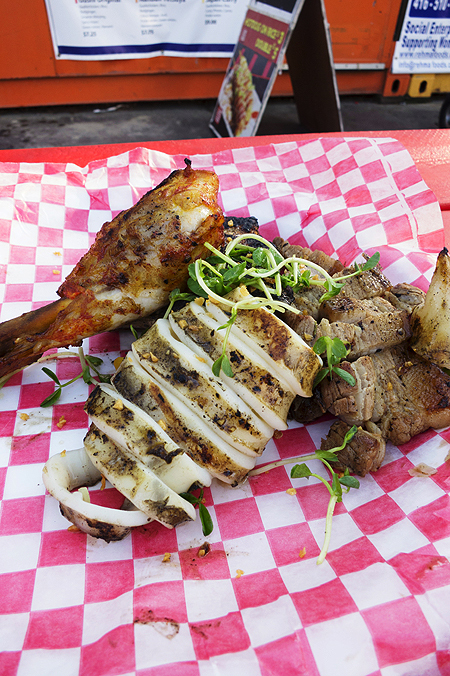 Gastronomy 101: Market 707 - What if no one's watching? 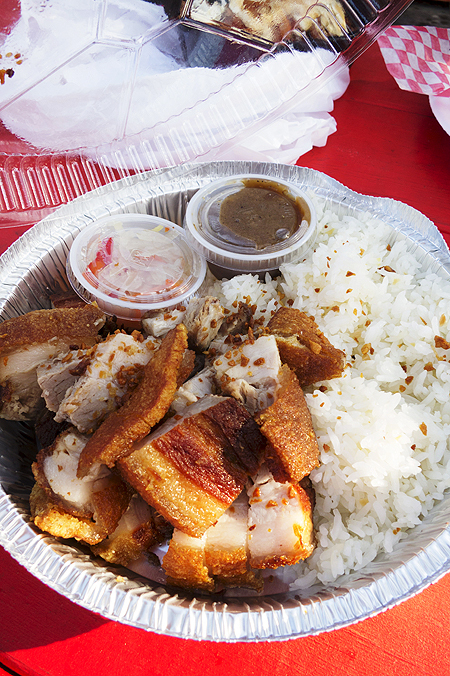 SUMMER IS ALL ABOUT STREET FOOD. 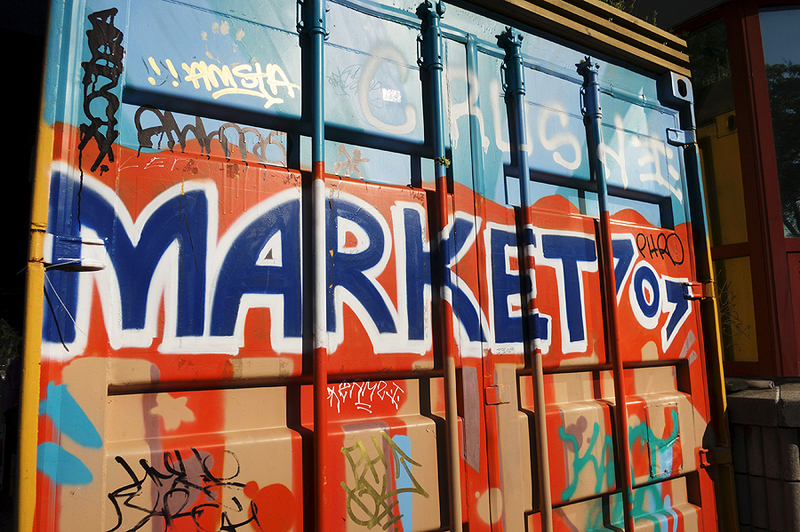 The hub and I decided to check out Market 707 together with another foodie friend of ours, C. Located at the front of Scadding Court Community Centre (707 Dundas Street West), Market 707 is a collection of small stalls made out of retrofitted shipping containers. 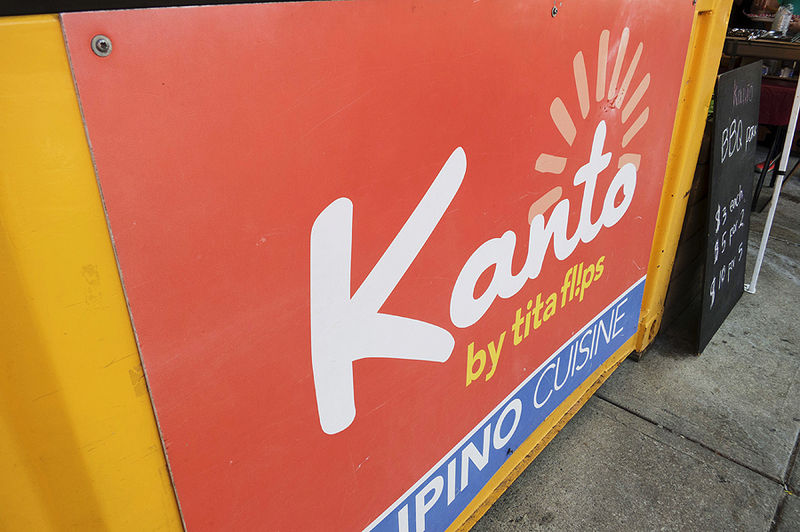 That day we were eyeing out three food stalls – Nom nom nom, Kanto by Tita Flips, and Gushi Chicken. 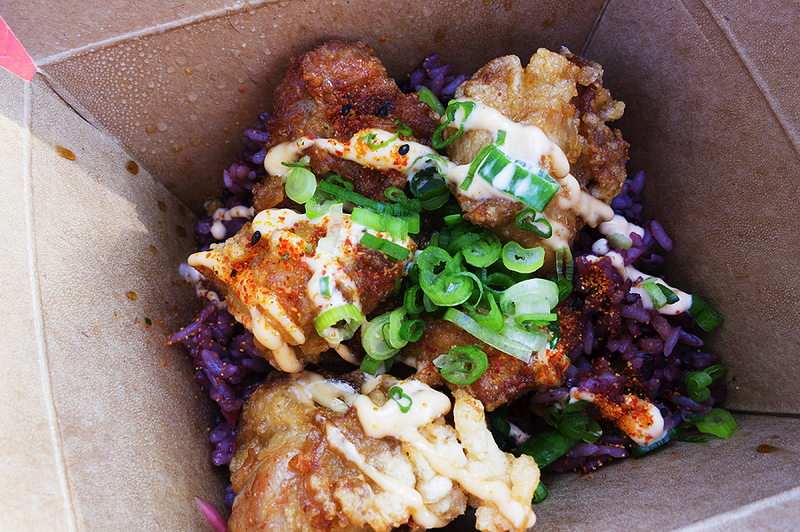 I wasn’t able to eat Gushi Chicken’s signature karaage from last year’s Matsuri. The line up was pretty crazy so I just decided to wait and come back for it (albeit really late). 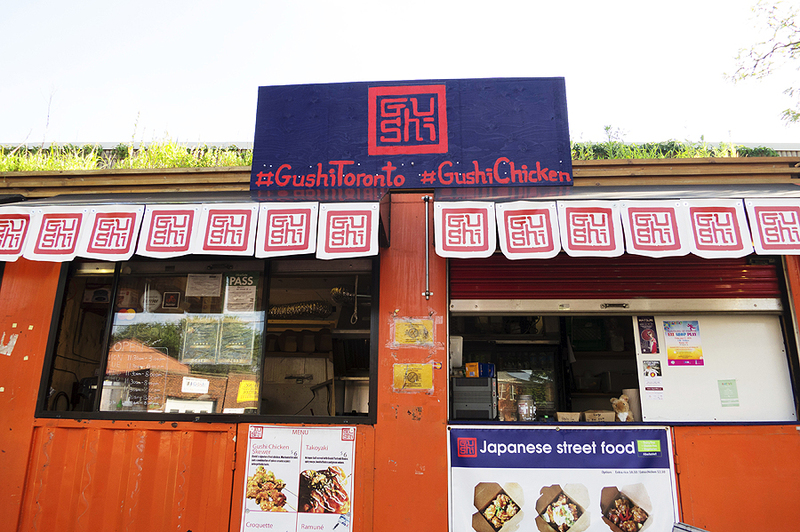 I ordered their original Gushi Chicken meal with spicy mayo and sesame vinaigrette on purple rice. 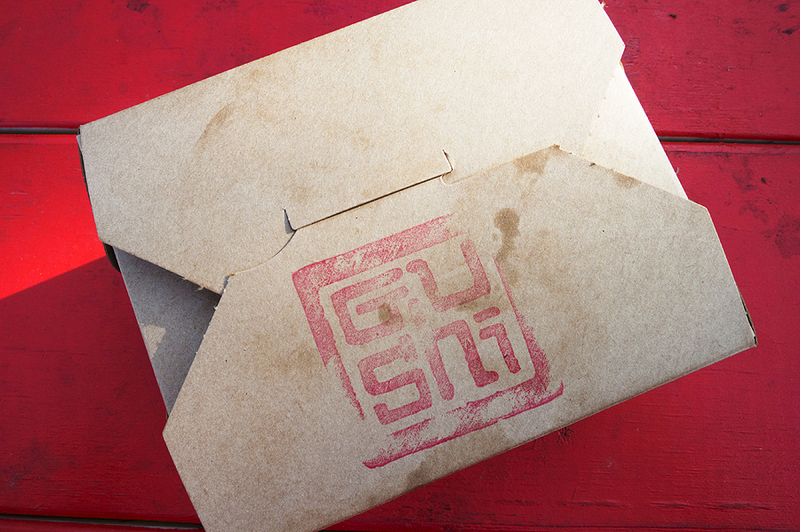 The meal should be eaten right away as I think Gushi Chicken is really good while it is hot. I really enjoyed this food as it was really tasty – for a small box I already had my fill. Next time I will probably just order the chicken and with beer. Yum. 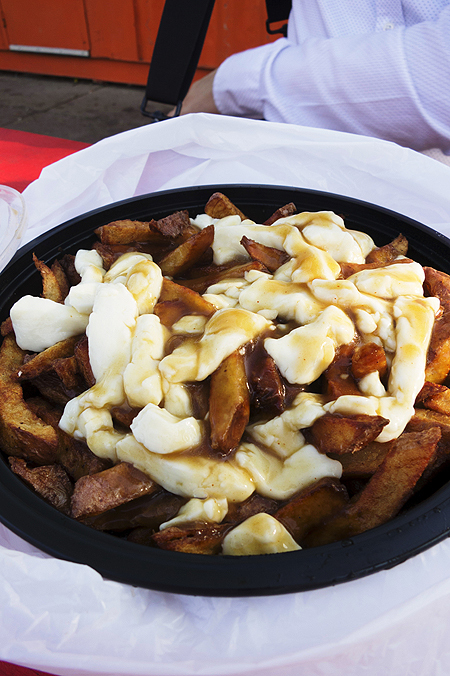 The hub ordered Nom Nom Nom’s poutine and we ordered the rest from the Filipino stall Kanto. Hub ordered the lechon kawali (crispy fried pork belly) to satisfy his week-long cravings, while I ordered a halo-halo for us to share. Our friend C took the opportunity to eat ihaw-ihaw (grilled food) as it is usually available on Thursdays. I was surprised with the price and serving sizes at Kanto – it was definitely worth it, even for the halo-halo. 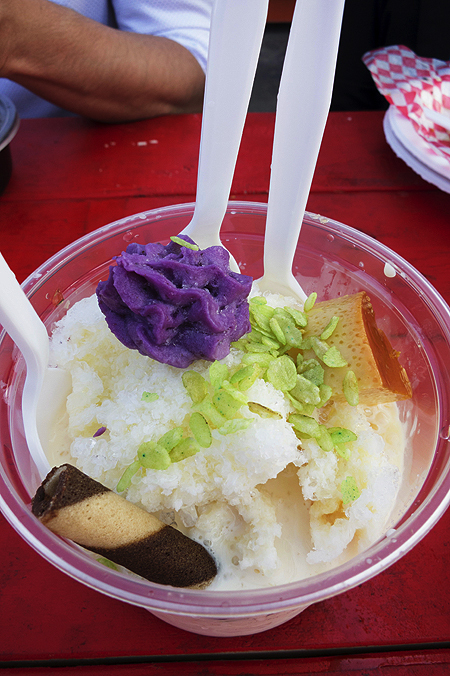 Normally halo-halo is priced steeply but this one was really inexpensive but still good. The ihaw-ihaw has a selection of meat and seafood for $15 with unlimited refill of calamansi juice.